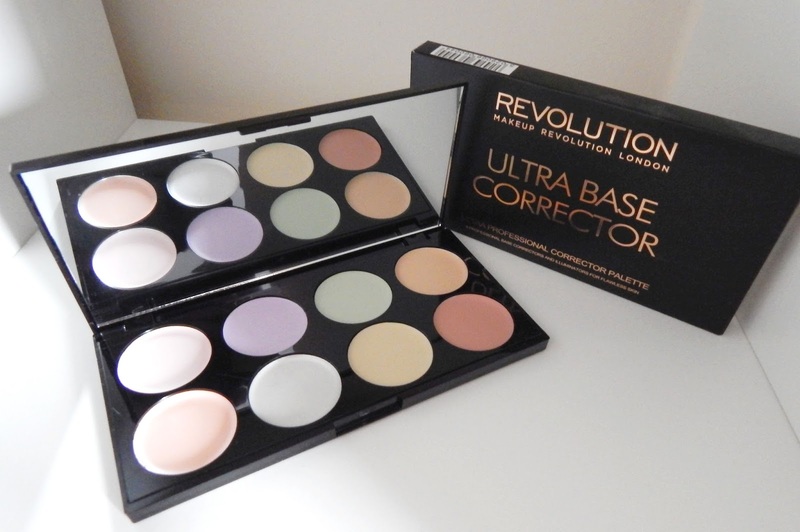 Gem's Up North : Makeup Revolution's New Corrector Palette - You should defiantly buy this! 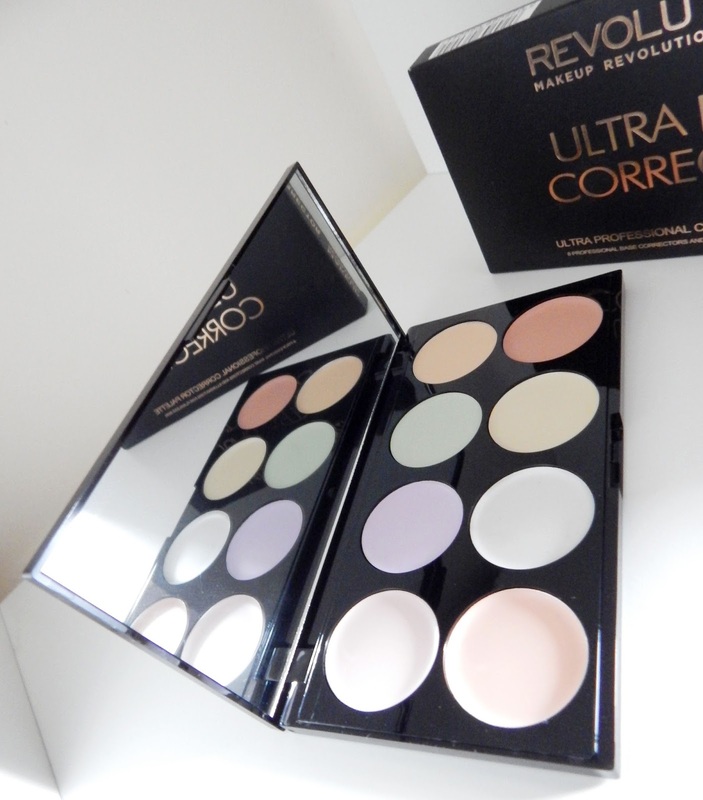 Makeup Revolution's New Corrector Palette - You should defiantly buy this! Makeup Revolution have done it again with an amazing new palette to correct unwanted skin tones by putting every colour cream needed in one palette. I've had other correction products but these came in singles so if I needed more than one I had to buy another single, also storing singles is much harder than storing a palette. The correction palette comes with 8 shades to help correct redness, yellow tones and cover dark areas to name a few. I find that my face suffers from redness but also has purple-ish dark tones in places, which isn't a good look either. This palette has shades to correct all of these problem areas. 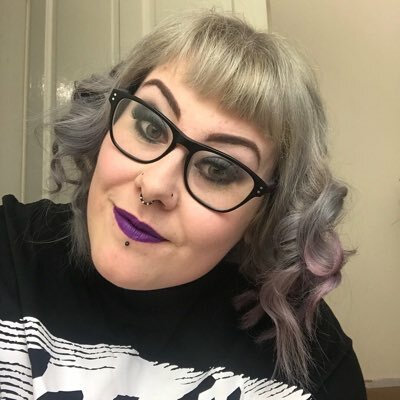 Each of the 8 coloured creams do a different job and because they blend out really well, don't be afraid you will look like a clown because you won't. Yes the colours look bold and bright but they actually correct the skin not colour it. Makeup Revolution posted an image on all of the social media networks on which colour does what when put on the skin, I've done a list here... or you can check out MUR's Facebook, Twitter or Instagram. My skin tone is very pale so the darker shade isn't going to be used however I will definitely use the rest of the palette's colours. As I said earlier my face suffers from redness and dark tones so this palette will help me correct those areas before applying my other makeup. 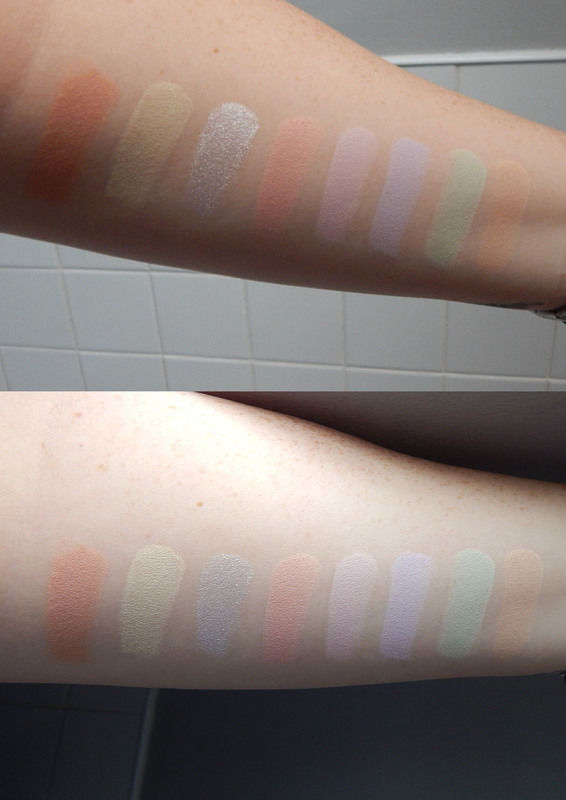 I've swatched the palette on my arm, the colours are so easy to apply and blend really well so application is effortless. I've took two photos to show in different light. 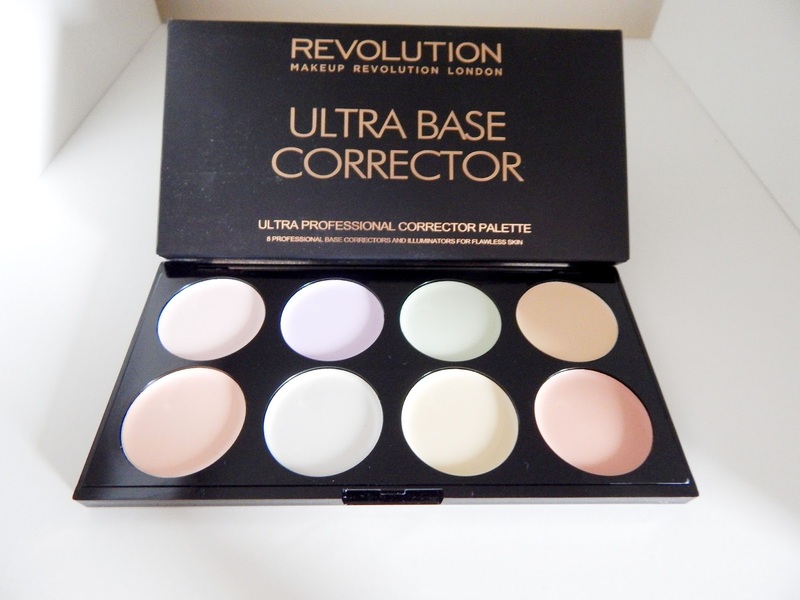 The Ultra Base Corrector Palette cost just £6.00 which is an awesome price for 8 shades and like I said life is so much easier having all the shades you need in one place. This palette now starts off my makeup routine, I would highly recommend to everyone. You can buy the palette from MUR's website here.